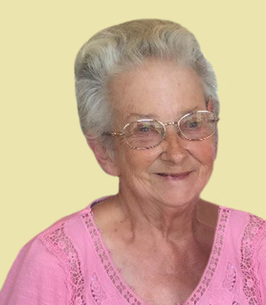 Betty Ruth Greenup, 78, passed away and in peace on Sunday, September 30, 2018. She was born on July 5, 1940, in Groveton, Texas to James and Lottie Hooper. Betty truly lived life to the fullest; she enjoyed going on cruises, playing bingo, drinking Coca-Cola and playing slots at Winstar Casino. She is survived by her two sons, James Greenup (Edgewood, TX), and Michael Greenup (Corsicana, TX). She is also survived by her grandchildren: Christopher Greenup (Terrell, TX), Sherman and Nicole Greenup (Camarillo, California), Blythe and Johnny Herrera (Corsicana, TX), Cecsily Greenup and Moses Rios (Ennis, TX), Taylor Greenup and Aubyn Turner (Mildred, TX), Kaitlyn Greenup (Tyler, TX), Ford and Jack Tannenbaum (Alba, TX), and many great grandchildren, nieces, nephews, and cousins. She is preceded in death by her son, Joe Allen Greenup Jr., grand daughter, Ashley Smith, and her parents, James and Lottie Harper. A funeral service will be held on Thursday, October 4, 2018, at 11 AM at Corley Funeral Home with a graveside service following at Eureka Cemetery. Visitation will be from 6-8 PM on Wednesday, October 3, 2018. An online guestbook is available at www.corleyfuneralhome.com and selecting the Betty Ruth Greenup obituary. 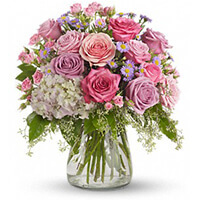 To send flowers to the family of Betty Ruth Greenup (Hooper), please visit our Heartfelt Sympathies Store. Beautiful soul, angel in heaven! I’m so extremely blessed to have known you since I was 6years old! Days and even years passed from seeing each other but every time I seen your face and smile you always made my day better! May you RIP and fly with the angels! I pray for all the family and dear friends, may god help you all find peace through your days to come! I'm so sorry to hear of Betty's passing. She was one of the first people I met when I joined the KMart family many years ago. A truly special lady! My prayers are with the family. So sorry for your loss Michael Greenup - Deepest sympathy to you and your family.